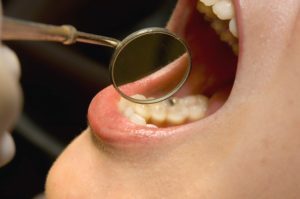 Maybe you’ve heard about a Dawson Dentist, but do you know what that really means for you and your oral health? Did you know that The Dawson Academy provides vital dental courses for dentists that have proven to be the foundation for successful dentistry? Or that Dawson Dentists are trained on how to keep your mouth free from cavities, as well as functionally healthy? Knowing the difference between a Dawson Trained Dentist and a regular dentist can greatly benefit your oral health. Keep reading to learn why, and then find out where the nearest Dawson Dentist in Ripon is today. Your smile affects so many aspects of your life, including not only how you look, but also how you feel — and how others see you, too. Considering how important your oral health and confidence is to your life, why would you trust your smile to anyone other than the best? Choose a Dawson Dentist, and you’ll see the difference immediately. The Dawson Academy provides dentists who are committed to continuing education with opportunities to learn how to care for patients at the highest ethical and professional level. Dawson Dentists are committed to doing what’s necessary to help your teeth stay strong and healthy for a lifetime — and to making sure your smile is beautiful and natural-looking in the meantime. One of the best things about visiting a dentist who’s been trained with The Dawson Academy is that you’re truly getting a personalized level of care. In fact, the Dawson Dentists are trained to use one rule when caring for your teeth: WIDIOM. What’s that mean? It’s simple: Would I Do It On Me? Your Dawson Dentist isn’t interested in performing unnecessary dental work or anything that’s not truly in your best interest — ever. That’s WIDIOM at work. Now that you know Dawson Dentists provide an exceptional level of care, you’re probably wondering where you can find yours in Ripon. We have good news: Silver Creek Dentistry’s Dr. Christopher G. Johnson, DDS is a graduate of The Dawson Academy! As such, he’s dedicated to bringing you the utmost in your oral care — preventing problems before they occur, and repairing them thoughtfully when they do. If you’re interested in experiencing the difference that training with The Dawson Academy makes, don’t hesitate to schedule your appointment with the Ripon Dawson Dentist, Dr. Christopher G. Johnson. Call Silver Creek Dentistry today!